Let's Dance is a non-album single, released by Cheapskate Records on 15 November 1988. The song was first covered by Slade in 1985 for their studio/compilation album Crackers – The Christmas Party Album. In 1988, the band released their version as a single, dubbed the "1988 Remix". It failed to chart in the UK. The song was written by Jim Lee and produced by Jim Lea. With the band's contract with RCA having ended in 1987, the band released two singles on their former independent label Cheapskate Records. Both failed to achieve commercial success and the band were largely inactive in 1988, having agreed to take an 18-month break. In November 1988, the band decided to release their 1985 cover of "Let's Dance" as a single, however it failed to gain sufficient radio airplay and did not reach the charts. "Let's Dance" had been recorded for Crackers – The Christmas Party Album. Speaking of the band's decision to release it as a single, Holder said in a 1989 fan club interview: "We thought it was a good track. We'd pondered over a few different songs, but we decided that "Let's Dance" stood a good chance of getting some airplay around that time because when we didn't release a single the year before, all the jocks wanted to know why. So we decided to put the record out, hoping it would get the plays, but it wasn't the case. Only the commercial stations like Piccadilly and some of the others played it regularly, but without Radio One, you're sunk." In a 1989 interview with Guitarist, Dave Hill recalled: "We just did a rock version of it for a laugh, and thought we'd stick it out." "Let's Dance" was released on 7" vinyl and 3" CD by Cheapskate Records in the UK only. 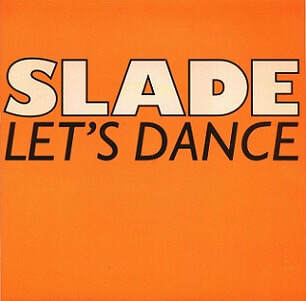 The 7" vinyl included the B-side "Standing on the Corner", which was an album track taken from the band's 1974 album Slade in Flame. For the CD version, two extra tracks were added; "Far Far Away" and "How Does It Feel". Both were also taken from Slade in Flame. Upon release, the single was reviewed on the BBC Radio 1 programme Singled Out. Those who reviewed the single were producers Stock, Aitken, and Waterman. All three reminisced about the band with DJ Mike Read, stating what a great band they were. Mike Stock commented that Noddy Holder was the greatest pure rock 'n' roll singer since John Lennon. Jim Lea - synthesiser, bass, backing vocals, producer of "Let's Dance"
Chas Chandler - producer of "Standing on the Corner", "Far Far Away" and "How Does It Feel"